Here’s a look back at a gorgeous polyaspartic garage floor we completed a little over a year ago. The extra design touches can really make your garage stand out from the franchise garage floors! 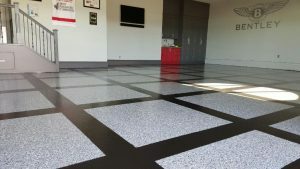 With over 20 years experience in concrete coatings in Calgary, Hardscapes has the design experience and technical know-how to create a garage floor that stands the test of time. 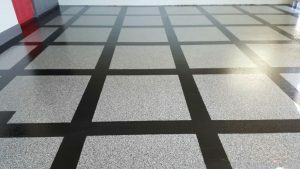 If you’re wondering what it would take to have a garage floor that stands out from the pack give us a call for a FREE estimate.